We officially joined the ranks of a Texas Longhorn cattle rancher on June 1st, 2014. I had the very fortunate opportunity to spend most of this day with Mike Bowman and his ranch manager Donn looking at cattle and touring his End of Trail Ranch in the famous Flint Hills, south of Latham, Kansas. I must say, I was “hooked” from the moment we crested the ridge in the first pasture and there stood over 50 of the most impressive cows and calves I had ever seen! 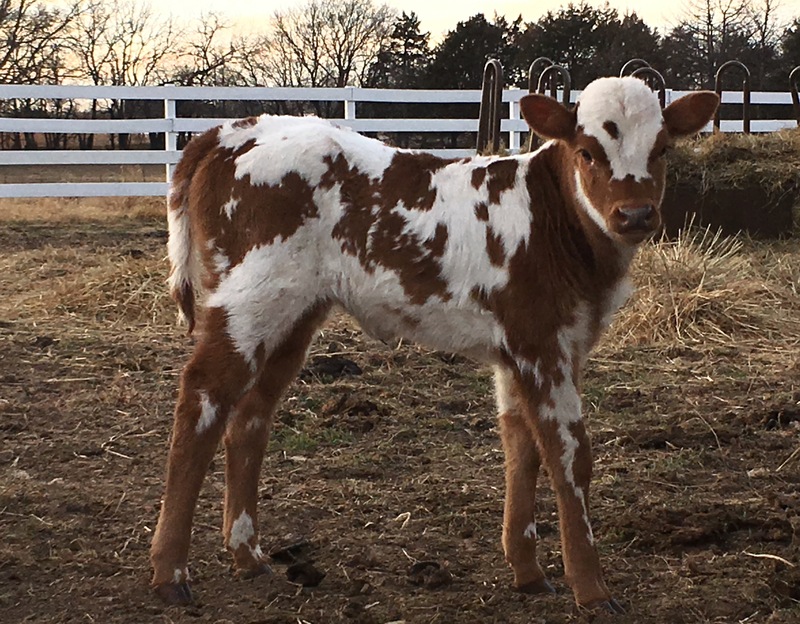 After visiting 7 different pastures throughout the day, seeing over 400 head of Longhorns and getting a crash course in “everything” Longhorn from Mike and Donn, I made the decision to purchase 3 heifer calves. One of the things Mike told me was very important was “raising cattle people want to buy”. That is what we are trying to achieve by selecting CV Cowboy Casanova and Hubbell’s 20 Gauge as the foundation bulls for our AI program with the goal of producing cattle with great eye appeal and a lot of horn. Our first calf of 2017 hit the ground on January 4th. +F Casanova’s Sweet Caroline is one special looking little gal! Thank you for visiting our web site and taking a look at our Longhorn cattle program!